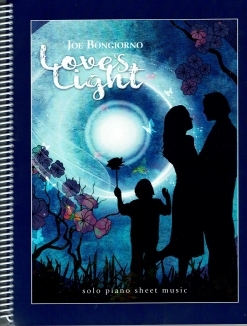 The Love’s Light songbook is the companion sheet music book for Joe Bongiorno’s 2016 album by the same name. 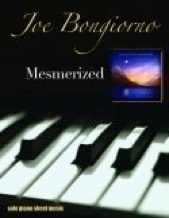 All twelve piano solos from the recording are included (the thirteenth track on the album is an orchestrated arrangement of the title song) and were transcribed note-for-note by John Zechiel. The music in the collection was inspired by many of the different kinds of love we experience in life, so the music gives the pianist a chance to express a range of emotions that are warm, beautiful, and often poignant. The notation itself is roomy and easy to read with crisp black ink on a bright white paper stock. The book is spiral-bound and the front cover is a full-color reproduction of the album cover of the CD. The pieces range from an upper-intermediate playing level to moderately-advanced. A few pieces have tricky key signatures and “Genesis” is played with tremolo throughout, but most of these pieces shouldn’t be difficult for most moderately-experienced pianists. The transcriptions include metronome settings, suggested pedaling, and well-marked expression. 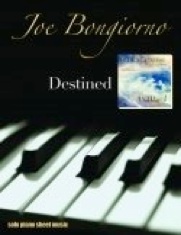 When Joe Bongiorno writes music about love, he always wears his heart on his sleeve, making his music very personal as well as a joy to listen to and to play. 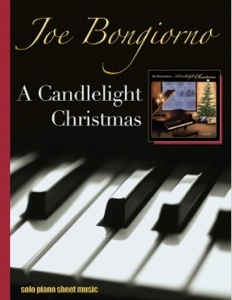 The songbook is available from www.JoeBongiorno.com as a printed book, a downloadable book, and downloadable individual pieces. I highly recommend Love’s Light.